With family budgets being increasingly squeezed by the high cost of living read our guide to the help available for parents struggling with childcare costs. You could claim up to 70 per cent of childcare costs depending on your income . You must work at least 16 hours per week. Your employer may offer you help with your childcare costs. If your employer offers you childcare vouchers, you should check if you would be better off having the vouchers or claiming help with childcare costs through the Childcare Element of Working Tax Credit. To check this, use the Childcare Vouchers: Better off calculator on the www.gov.uk website. From early 2017, the Employer Supported Childcare scheme will be replaced by a new Tax-Free Childcare scheme. Under this new scheme, the Government will contribute 20p for every £1 of the first £10,000 in childcare costs, per child, per year. Tax-free Childcare is expected to help five times as many working parents in England, Northern Ireland, Scotland and Wales because it will cover the self-employed, as well as those working part-time, on paid sick leave and on paid and unpaid statutory maternity, paternity or adoption leave, The Government will provide help with childcare costs for the first time. To find out more see our Tax-free Childcare information guide. 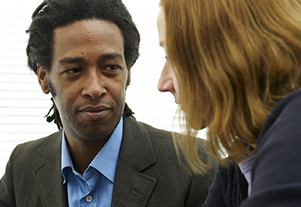 If you are looking for work you may be eligible for help from Jobcentre Plus’ Flexible Support Fund. This can assist with childcare or replacement care costs when you attend an employer/provider or jobcentre adviser interview, or a Jobcentre Plus approved activity. Your local Jobcentre Plus office should be able to provide more information about this. When participating in the Work Programme, you will be eligible for help with childcare/replacement care costs from the Work Programme provider. If you are studying, depending on the course, they may be able to apply for a Childcare Grant or Care to Learn payments. It is also worth checking with your college to see if you qualify for the Discretionary Learner Support scheme which could assist with your childcare costs. To find childcare and family services in your area see the Family and Childcare Trust website and you can also contact your local authority to obtain details. Use the Turn2us Benefits Calculator to check your entitlement to benefits income which could help with the cost of childcare.